This year we are going to focus on the different ways we connect in our library. 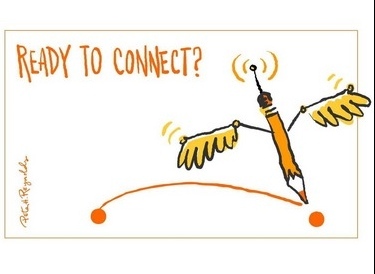 Over the holidays when I thinking about this I saw a wonderful illustration on Twitter by Peter H. Reynolds the author and illustrator of The Dot and I knew it was just what I was looking for! Peter used his imagination and creativity to illustrate his idea. He then used the technology of Twitter to share his idea. 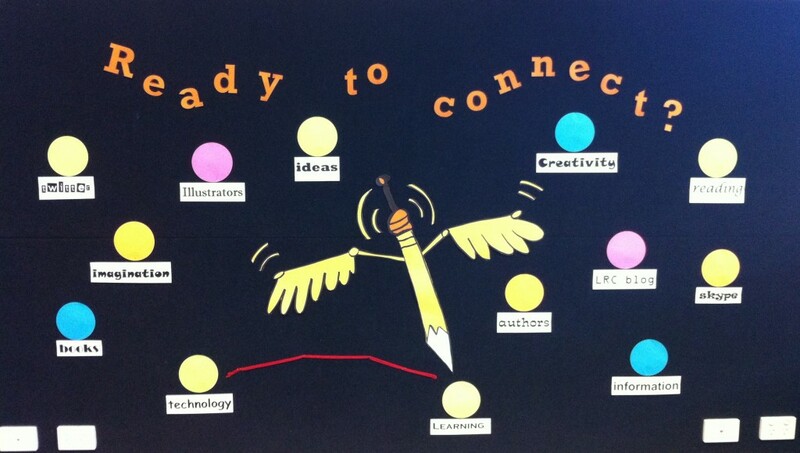 I saw his illustration on Twitter and it sparked an idea for a display that I’m now sharing on our LRC blog! This entry was posted in Uncategorized and tagged Authors, connect by smotlrcblog. Bookmark the permalink. We are celebrating “Love Your Library” month this February and I was going to make bookmarks with some classes, some grades will write Valentines to their favourite book characters and some classes will do Blind Dates with books. 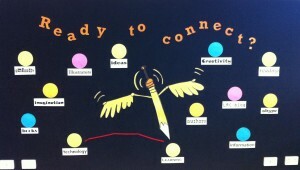 Not sure what else yet but we could find a way to connect through these activities or through “Love Your Library”….